Kamasi Washington just might save modern jazz from its long, slow frogmarch to cultural irrelevance. Born to musical parents, and an alumnus of UCLA’s Department of Ethnomusicology, Kamasi Washington is a saxophonist, composer, producer, bandleader, and wizard. His latest album is a double LP called Heaven And Earth. 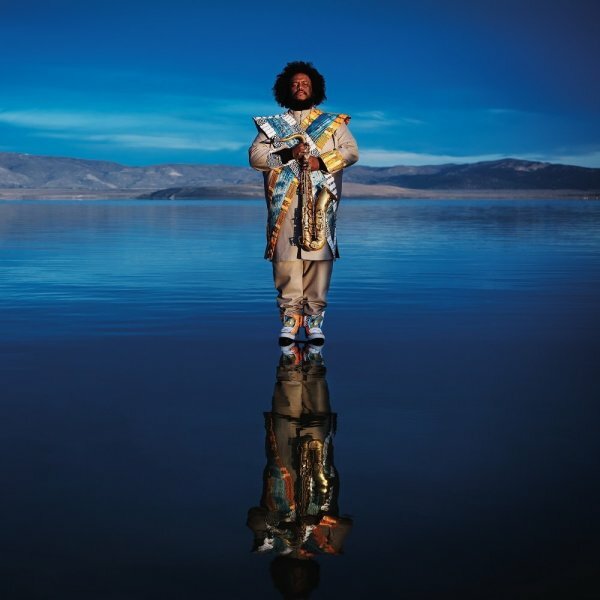 Back in April of this year, Kamasi Washington explained the concept behind Heaven And Earth, tweeting, “The Earth side represents the world as I see it outwardly, the world that I am a part of. The Heaven side represents the world as I see it inwardly, the world that is a part of me.” So let’s start with Earth. The album immediately lands a right jab straight to the dome with “Fist of Fury,” a Malcom X-ian call to arms featuring Patrice Quinn and Dwight Trible chanting “We will no longer ask for justice/Instead, we will take our retribution.” It was also released as a single in April, along with Heaven’s opening track, “The Space Travelers Lullaby.” Earth uses mostly conventional styles of jazz, thus creating a sound that’s more mundane and earthly – though not in any way lacking in turbulence or excitement; the album is undeniably jam-packed with drama. Moving on to the celestial meat and potatoes. Heaven’s grandiose orchestral jazzscapes are like the soundtrack to a trailer of a futuristic utopia, where the air is clean and electric cars fly between mile-high vertical farms. This glorious sound achieved by Kamasi Washington does invaluable justice to the modest (and dare I say starving) world of contemporary jazz. Heaven’s angelic atmosphere is largely owed to the string section employed where it was not found on Earth. This, along with more modern and cosmic synth textures besprinkled here and there, escorts us into Washington’s sonic inner sanctum. This entry was posted on Thursday, November 8th, 2018	at 6:05 pm	and is filed under News	. Responses are currently closed, but you can trackback from your own site.